How will I get paid for freight hauling? This is one of the first questions any truck driver has when applying for a trucking job with a new company. As it turns out, there are multiple ways that truck drivers can get paid for hauling freight. One of the most popular methods uses practical miles. But what is practical mileage pay, and do you want to get paid according to this type of mileage? Practical route miles is defined by Rand McNally as the shortest number of miles it takes to reach a destination. This route is considered practical because it takes into account the needs of a freight hauler. For example, when you are transporting freight you want to take interstate as much as possible, avoiding the county roads and two-lane streets through downtown areas. Practical miles are considered the more desirable form of mileage compared to shortest miles. Truckers are typically paid by either practical miles or shortest miles. Shortest mileage is known as household goods miles or HHG because it is commonly used among household movers. The shortest mileage is the shortest route for reaching a truck driver’s destination. This route may include several different types of roadways, which involve four-way stops, red lights, and changing speed limits. Ultimately, shortest miles are based on route, but not on time or fuel economy. Truck drivers who use shortest miles cover fewer miles, but it takes them longer time-wise to reach a destination. As truckers are paid according to mileage, shortest or HHG miles are not desirable. 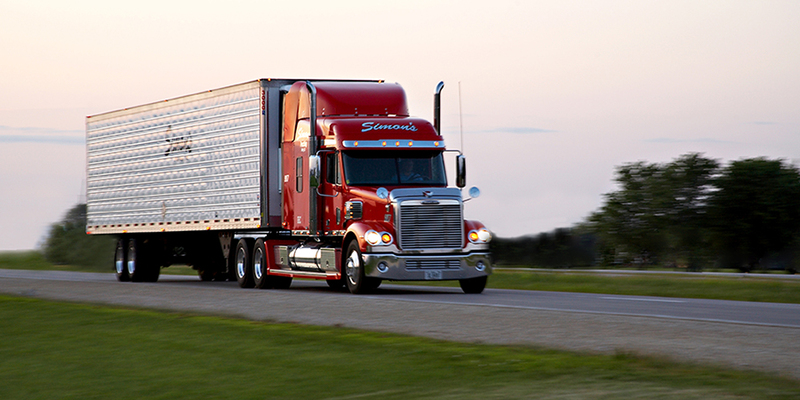 Practical mileage is the preferred method for regional drivers, as well as long-haul truckers. To calculate practical miles, use a map to find the closest US Post Office near the starting point and the destination. These two post offices will be used for the starting and ending locations. This mileage will be the number of miles the truck driver is paid for freight hauling. Drivers can then take the interstate for the majority of the miles, which increases fuel efficiency and time spent driving. Here at Simon’s Trucking in Iowa, we want to help you make the best financial decision for your trucking career. That is why we pay our truck drivers using practical mileage. View our available positions and apply today for trucking jobs paying practical miles.